27 Steps to Planning The Perfect Kid’s Birthday Party Plus: The Ultimate Kid’s Birthday Party Gift Guide! Planning a kid's birthday party has never been so easy! View and download our detailed party planning checklist and prepare to host an unforgettable party. Are you the parent of a birthday boy or girl, or the parent of a party invitee? If you’re a parent in charge of party planning we know the feeling. You’re probably scrambling to plan the perfect party that your kid and all of their guests will love. But there’s no need to scramble! We’ve put together a comprehensive, 27 step checklist to planning the ultimate party. If you’re the parent of a child who’s been invited to a kids birthday party, it’s likely that you’re racking your brain over what to buy. After all, what do kids these days think is cool? Your own son or daughter may not be much help. 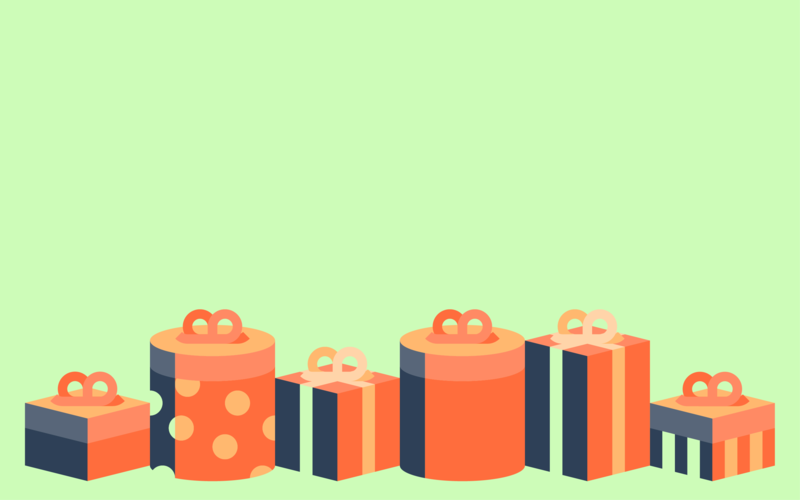 Fortunately, we’ve curated 20 amazing birthday gift ideas for kids that your kids will love to give and their friend will be ecstatic to receive. If you’re the parent of a birthday girl or boy, click here to jump straight to the party planning checklist! Or, check out some great party favor ideas! Feel free to bookmark this page and come back every time you have to plan a party or purchase a gift! Some of the items on the checklist are pretty quick and simple, but we wanted to list every single task so nothing slips through the cracks. If you follow this checklist in order, the process will be stress-free and the party will be fantastic. You may find that your child’s birthday doesn’t present a whole lot of opportunity to reflect on the past year and all of the great experiences you’ve shared. Instead, you will most likely find that you’re entering birthday party planning mode, and nothing can stop you from planning the perfect party for your excited child. Most children’s interests and friendships seem to change and evolve daily. What was cool yesterday may not be cool tomorrow, and there are so many options for activities and themes out there! Combine that with the stress of forming a guest list, sending invitations, choosing the menu, cake, and entertainment; and you’ve got yourself a recipe for a nervous breakdown! Without further ado, here’s the checklist! Enter your email to download the full 27 step birthday party planning checklist PDF! Click the link below to dowload! 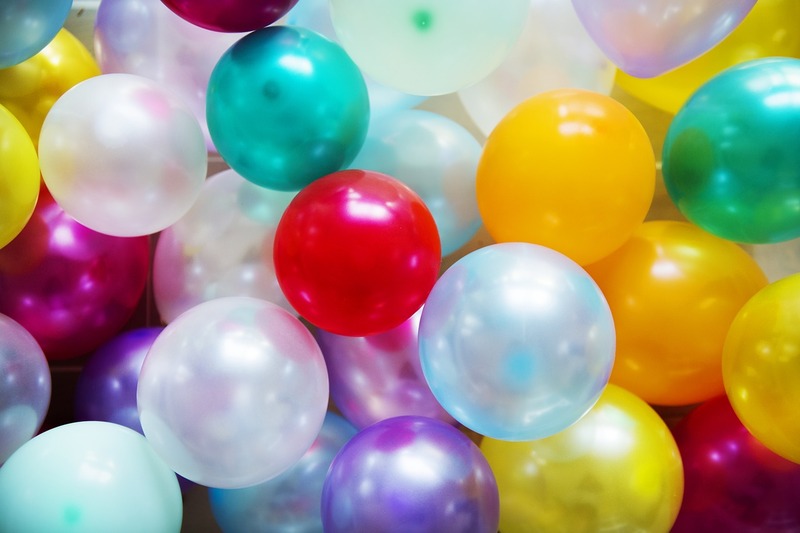 Whether you’re initially thinking about hosting your child’s birthday party at your own home or at a different venue, it’s important to start by figuring out the party’s theme. Because the theme your child wants their party to follow is likely to define its location. If laser tag or go karts are the desired activity, it’s doubtful you’ll be able to pull that one off at home. The same thing goes for a pool party (unless you have a pool) or an arcade. Based on how often the taste and interests of a small child tend to change, planning a birthday party theme 1-2 months early may seem like a risk. But really, 1-2 months is a pretty safe timeline, and your kid’s excitement will build along the way as they see your plan unfold. It's always smart to pick out a theme before finalizing a venue. The theme doesn't have to be elaborate and can range from simply "play" to a more elaborate superhero costume party. Often, the choice of a venue is strongly influenced by the theme of the party. Knowing the theme early also allows you to form the most comprehensive vision of what is necessary to make the party successful, from the location to the amount of guests, and type of food and decorations. If your child is 1 or 2 years old, you may not want to go overboard on a fancy themed party. It’s pretty much a guarantee that they can’t tell the difference. At the age of 3 or 4, kids start to notice and care more. Of course, it’s common for parents of baby’s to have birthday parties that also serve as an excuse for the adults to get together. Just be mindful of who the theme is catered to and how elaborate it should be based on the age of your child. 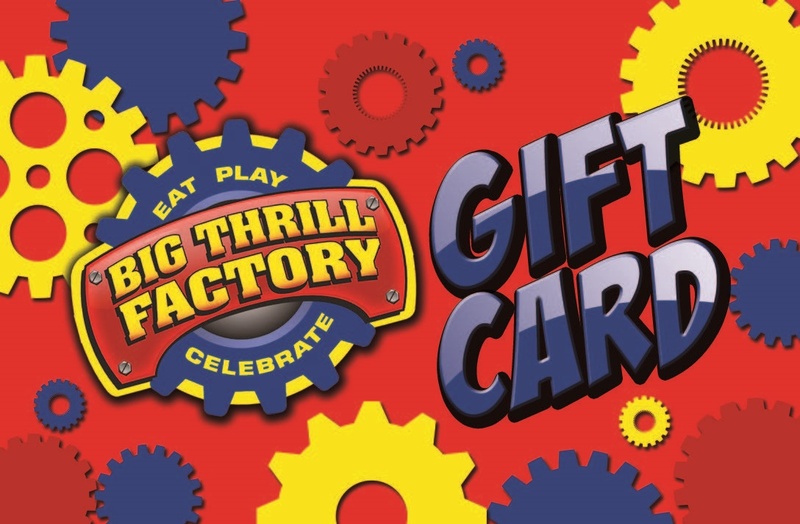 Be the first to know about birthday party promotions and discounts at Big Thrill Factory! Whether your daughter wants a princess-themed birthday party or your son wants to bash bumper cars for 2 hours before eating cake and opening presents, your location will play a role. This often depends on personal preference. Hosting a birthday party at home can be an excellent solution for parents who want to have a hand in everything from decorating and cooking to turning the backyard into a magical fantasy-land for tea parties or nerf battles. Obviously, hosting a party at home can be daunting, as there’s quite a bit of cleanup involved before and after the fact, and food has to be cooked in house or catered. Some parents prefer to host at community centers, public pools or churches, which offer recreational spaces and keep the mess out of the house. Depending on a party’s theme, a great solution to decrease the planning burden is an amusement park or family entertainment center, which often has dedicated party planners and a full menu in house. Either way, be sure your child is comfortable with and excited about the location, and that it can accommodate the party’s theme. As we discussed above, you don’t necessarily have to invite the whole class to your child’s party. In fact, it’s likely that your son or daughter has close friendships and would rather spend more time with those friends. Not only that, but smaller parties can promote a calmer (but still fun and exciting!) atmosphere and help you cut costs. Before you even think about finalizing a guest list, figure out the capacity of your location. Can your back yard accommodate 27 wild kids? Would a group that big have to wait in line too long at a go kart track? Conversely, are 5 or 6 guests enough to play capture the flag or pickup soccer? Once you’ve nailed down a number you think makes sense, cross-check it with your budget. What’s the overall total cost per guest of food, decorations, gift bags, activities and cake? The number of guests doesn’t really matter to the child, as they are too young to fully grasp what is going on. Many of these parties will be attended by the parents of each guest and will be more family oriented. A guest list of 4-8 will often suffice. Toddlers and preschool aged children don’t need to be surrounded by large groups to have fun. On the contrary, It’s likely they will get distracted if you invite more than 10 kids to the party. Try to keep it small. Kids between 6 and 10 like to run around and start forming an affinity for large group and team activities. 8-12 guests is ideal and still manageable. Let your kid have more of a say as long as his or her choices don’t exceed your budget or the location’s capacity. Older kids know what they enjoy and what they don’t. Most kids will probably ask for a bigger party. Combining all of these considerations will help you land on the perfect number of guests. This may not be the case if your kid is under 4, but around that age and older, children start to develop stronger friendships and can begin to differentiate their closest friends from their acquaintances. Make sure that your son or daughter’s best friend(s) will be in town and available for the time and date of your party. This little detail always gets forgotten, and your birthday girl or boy may feel a bit sad if their best buddy can’t be there. Now that you’ve checked the availability of key attendees, picked a venue and decided on a theme, it’s time to formally pick the date. This one is pretty simple--weekends close to your kid’s birthday tend to work best. This may be the single most stressful aspect of birthday party planning. Creating a birthday party guest list needs to take into account both financial considerations and etiquette. Should you invite the whole class or just a select group of your child’s friends? So far, you’ve estimated the ideal number of guests and the key friends that your son or daughter would love to have at the party. The next step is to figure out who you actually want to have in attendance. Inviting the whole class is often unnecessary. As a rule of thumb, try to invite children who have previously invited your child to a birthday party. This isn't always possible, but it's a good goal nevertheless. Ask your child who they have the most fun with, and look for red flags about kids who may make your child uncomfortable. With a little help from your son or daughter, creating a final guest list should be a piece of cake. Depending on the party’s theme, there may be a need to bring in outside entertainment, or to decide on entertainment within an existing venue. Make sure you get started on this early, as some bands, musicians and clowns can be booked for weeks at a time. If you are not hosting at home, it’s best to have a venue that features party planners. These birthday party planners can reduce some of the burden of planning and get activities set up and planned more quickly and efficiently. It’s becoming more and more common for parents to send out evites for their children’s birthday parties. That’s great, but the old fashioned alternative can also serve as an educational opportunity. If they’re old enough, have your birthday boy or girl participate in the invitation design and writing process. It will be fun and educational, all while building excitement about the upcoming event. Pro tip: Will you be feeding my kid? If the birthday party isn’t set for an obvious meal time, such as 11:00-1:00, it’s helpful to specify whether you will be providing a full meal for the children attending the party. This allows parents to plan their child’s meals accordingly. Just make sure your invites are mailed at least 3-4 weeks in advance of your party’s date. Extracurricular activities can take over the schedule of many children and their parents, so it’s important to get invites out before something else can creep onto the calendar of your desired guests. If your child is older than 5; consider using the process of preparing a letter for the mail as a fun educational activity. This is where many people tend to go wrong by planning long, drawn out parties. Parties don’t have to be an all day affair to be fun and exciting. In fact, most kids—especially younger ones—tire quickly, so it doesn’t make much sense to have overtired kids running around for 5 hours. In fact, it sounds like a nightmare for parents. Instead, keep your parties short and action-packed. Let’s be honest, these parties are more for parents than they are for the kids. Babies will not have much of an idea what’s going on during their birthday party, but for kids that are just entering the toddler stage, themes, foods and time for gifts becomes more important. Either way, it's important not to overstimulate a baby, as it's likely they won't be excited after 3 hours of activity. Keep these parties short. 1 hour is perfect, 1 and a half the maximum—otherwise, you’ll have a grouchy baby on your hands. To an adult, one and a half hours goes by like a lightning bolt. To kids, it can feel like days. For toddlers and preschool aged kids, one and a half to two hours is the perfect length for a nice, exciting party. Avoid overtired kids by keeping it short. Even so, There’s no need for a party at this age to exceed three and a half hours. That’s plenty of time for multiple activities, food, cake and presents, without overdoing it. After the age of 9 or 10, kids start to gain a more nuanced perception of time. They can handle larger blocks of time away from their parents without acting out, and their drive for adventure overrides their tendency to get overtired. The length of a birthday party at this age really depends on the location and activities planned. Sticking between two and four hours will provide plenty of time for older kids to have a blast. Deciding the party’s length is only part of the equation. The party’s actual timeline is what keeps everything together and organized. This timeline doesn't necessarily have to be communicated to parents and guests, but it's vital for you to know the details inside an out. Adhering to a predetermined timeline will leave enough for every activity, ensuring the party goes smoothly. 12:15-1:30: Organized Group Activities — Laser Tag, Bowling, Bumper Cars, etc. The birthday party activities will depend mostly on your venue and your party’s theme. For example, hosting a party at an arcade or a family entertainment center takes the responsibility of activity planning and setup off of your shoulders. If you’re hosting your party in an environment without party planners, like your home or a park, you may have to come up with some games and activities to keep the kids occupied and having fun. Struggling to think of something fun for your kid's party? Relay races are simple to set up and easy to explain. They are also extremely inclusive activities that help children learn team-building skills. Every kid loves capture the flag. It also happens to be one of the easiest games to set up. If you’re hosting the party in your back yard or a park, create the boundaries of the playing field and make them clear to all of the kids, set up the flags, create teams, and let the games begin! It’s pretty easy to build an obstacle course out of objects you may have laying around your house or in the garage. An obstacle doesn’t necessarily have to be difficult to physically get through. Your obstacles can be riddles, athletic challenges or, more traditionally, hoops to crawl or jump through. With a little creativity, your options are endless. You can also combine an obstacle course with a relay race to make things extra fun. This activity doesn’t even have to be organized. Kids love running through sprinklers on a hot Summer day. Just make sure they take turns! 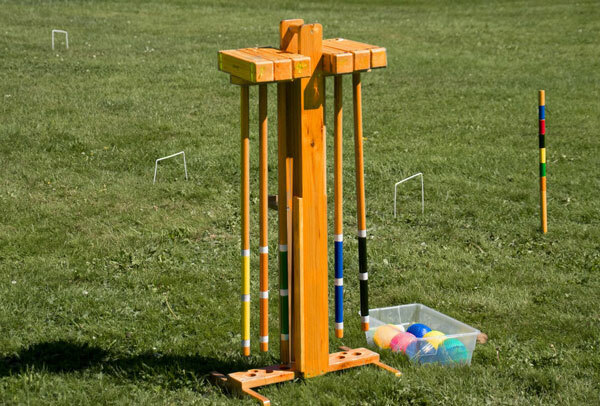 For slightly older kids, croquet is an easy game to set up, learn, and play. It also accommodates multiple players so everyone will feel included. Bocce is a fun game that will feel like outdoor bowling to the kids at the party. It can be played one on one or with teams, including a larger group of guests. You can get bocce sets at most big box stores and online. Baking is great for birthday parties because kids have fun creating the baked goods, and then they get to eat them! Pick out a recipe before the party and make sure you have all of the ingredients on hand. Once the party starts, make sure everyone gets roles that they enjoy in the baking process. For a fun touch, buy some colored icing and toppings like sprinkles and chocolate chips so that your guests can decorate their creations. No matter the theme, kids love working with clay, and it stimulates their creativity (giving you a break from running around). Have them create clay figures representative of the party’s theme. The best part? Polymer clay like Sculpey can be fired right in your home oven, so kids can see their final creation and take it home with them! For an animal themed party, you can purchase craft supplies for party guests to create their own masks. Cut out mask templates with card-stock paper ahead of time and glue on a popsicle stick so that the mask can be held up. The rest is up to the kids to customize, design and embellish. Kids love creating jewelry. At your local arts and crafts store, you should be able to find a wide variety of string and beads that party guests can use to create their own necklaces and bracelets. For a fun touch, try finding beads with letters on them so that jewelry can be customized with names. Creating floral arrangements is a fun way to stimulate creativity and have fun. Not to mention, kids can take their arrangements home! Try to purchase wholesale flowers of multiple varieties for the party, avoid flowers with thorns, and cut stems ahead of time to avoid safety hazards. Don’t want to host your kid’s birthday party at home? Then the options are even more extensive. Laser tag is exhilarating and strategic. Most importantly, it’s extremely fun, and kids never tire of playing. Any birthday party involving laser tag is a guaranteed good time. Does your child love baseball or softball? Batting cages are an active and competitive activity for kids of all ages. The hunt for tickets is just as fun for children as playing the games themselves. Arcades are great because of the variety of games and the possibility to win awesome prizes! Bowling is an absolute blast and never gets old. Watch your child hone their skills while bowling. Jumping on trampolines is an absolute blast and most kids would do it all day long if they could. Try wipeout trampolines for an even more fun and inclusive spin on the activity. If your child is old enough and knows how to swim, why not have a fun tropical themed pool party? There are plenty of fun pool games that kids can play in a supervised environment. Kids love being challenged, and a ropes course is a perfect combination of fun and challenging. Not to mention, it’s a great opportunity to learn about teamwork. Depending on where you host the party, it may be necessary to purchase decorations and supplies. Confetti, candles, balloons and streamers are a mainstay, but the theme you choose for the party will have the biggest role in determining your needs. Be sure to get started early, and make a list. Decorating takes quite some time, and it’s extremely common to forget items or to decide you need more along the way. This is also about the time you should start thinking about party favors, if the location of your party doesn’t provide them already. 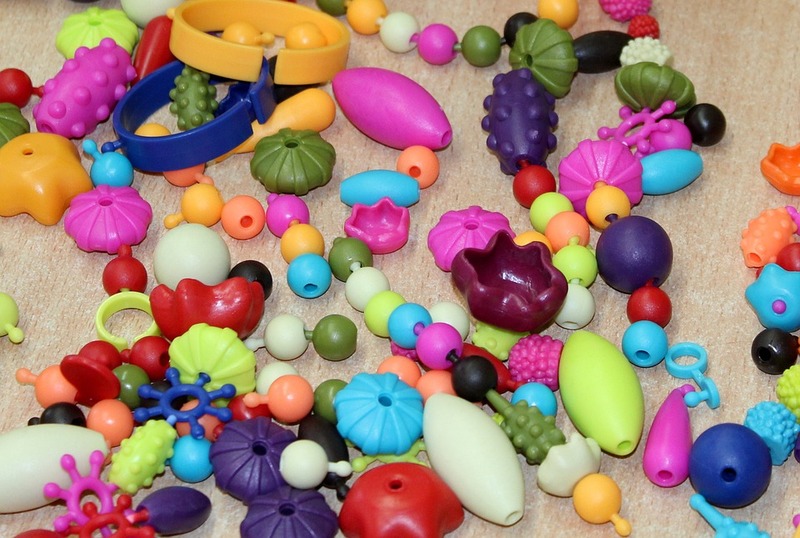 As much as kids love candy and little toys, they probably don’t need any more. You also don’t need to be spending crazy amounts of time putting together intricate gift bags and thinking of ideas for what to include. Why not try a small gift card instead? That way, your child’s friend has a built-in opportunity for a fun family activity. Movie theater or frozen yogurt gift cards are great options. Depending on your party theme and venue, you may need to unleash your inner arts and crafts expert. 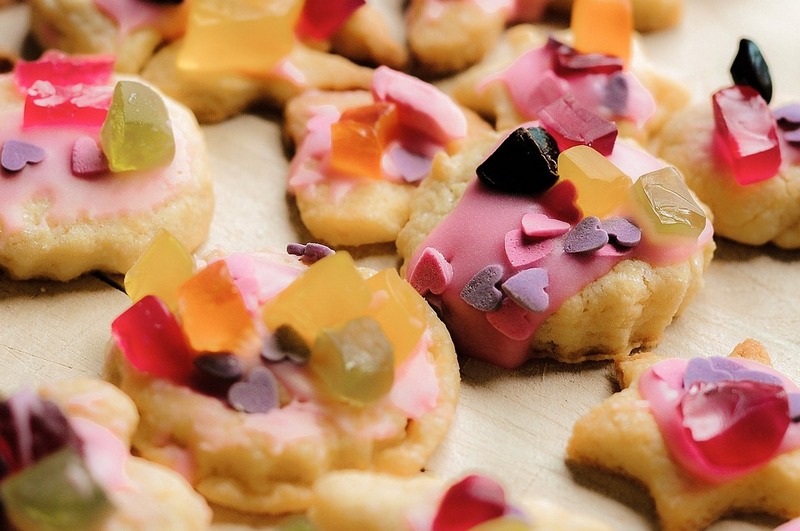 If you’re hosting at home and feeling crafty, the sky’s the limit for what you can create. Just make sure you get started early, because it can take quite a bit of time. A styrofoam castle for a medieval themed party or paintings of whales for the background of a sea-life themed party? It's possible that the party theme will influence the menu, but your child's preferences and any food allergies among attendees will ultimately matter the most. If your birthday boy or girl is a bit older, be sure to give them a choice on what they would enjoy to eat for the party. What they say may surprise you. If you ask most kids between the age of 4-10 what their favorite food is, it’s likely that many of your responses will be something sweet. The need for a fancy elaborate meal may be more of a reflection of what you like versus what your child prefers. That’s not to say that birthday party food should be unhealthy. It’s merely a reminder that kids like it simple. At a certain point, you have to know who will--and won't--be attending so that you can prepare activities and forecast food needs. Most parents are good about sending RSVPs prior to the due date, but inevitably a few will wait until the last minute. You may need to give these people a call or shoot them an email to be sure there are no surprise guests on party day. If the party is gearing up to be big, wholesale stores like Costco and Sam’s Club are your best friend. Make sure you make a list of quantities and have storage space allocated before you go shopping. Try to wait as long as possible to purchase perishable items. It’s a good idea to put together two grocery lists: one that can be purchased ahead of time and one of perishables, so that you can spread out your shopping and make sure everything stays fresh. If you’re hosting at home, be sure to perform a deep clean of your house in advance of the party. This will not only make your home look great when parents drop off their kids, but will also help you stay organized throughout the setup process. This is crucial and it’s often overlooked by many parents who host parties in their own homes. Your kid may know what’s off limits in your house and be well-trained to stay away from certain objects or areas of the house. Your party guests do not. Make sure that anything potentially dangerous is removed or hidden away to ensure that kids stay safe during the party in your home. Ask your kid what kind of music he or she likes and put together a playlist of appropriate songs that will work (or delegate this task to another family member or friend). Make sure you have a compatible speaker system for indoor parties or a portable wireless speaker for outdoor parties. You can also delegate music duties during the party to another family member or parent. Most parents hosting kid birthday parties get a couple photos here and there, but not enough to capture the entire event—and hiring a photographer is expensive! Delegate photography duties to a family member or parent willing to take pictures throughout the event. Later in life, your child will be happy they have pictures of their best friends to reminisce about and poke fun at. Most parents can’t get enough pictures of their kids. Why not develop some of the pictures you took during the party and pop them in an envelope along with every thank you card? It’s a great personalized touch that parents will love. Give yourself plenty of time to decorate. If you’re hosting at home, start a couple days ahead of time. The setup may take longer than you think. Enlist the help of family members for difficult tasks. If you choose to host at a venue that allows parents to bring decorations, you may not be allowed to decorate until hours before the party. In these cases, make sure you have everything ready to go, scope out the event space, and have a plan for execution before you get there. If you choose to cook rather than catering or hosting at an event space with a menu, all the power to you. It’s going to take time, so be sure you get started on less perishable items at least a day in advance. Create a list of foods to prepare and make sure you’ve allocated plenty of time to get all of it done. If you’re hosting at home, you may have some items that need to be fresh out of the oven to ensure food safety. Taking care of food prep early in the day is wise, as you only have to remember to put the meal in the oven (and take it out!) as the party nears. Make sure to block out some time on the day of the party for another cleaning and safety check of your house. Kids can turn a house upside down in a matter of hours, so it’s important to double check. If you catered food or ordered a cake, chances are you will have to pick it up the day of the party. Make sure you block out time to do this or assign a pick-up role to a friend or family member, as the day of a party can be jammed with last minute tasks. This is a realistic conversation for every child older than 4. Birthday parties are amazing educational opportunities for the children hosting, as they can learn how to be the center of attention in a respectful, kind way. Make sure your child knows how special it is to have a birthday party and have the opportunity to receive gifts from friends and family. You can also have a conversation with your child about what it means to be a host. Sure, their main priority should be to have fun, but whether the party is at home or at another venue, welcoming guests and saying thank you are important actions to emphasize. Depending on the age of the children at your party, it’s possible that parents will stick around to watch their child and help out. Be sure to have a list of small roles ready before the party begins and assign these roles as your guests arrive. At parties for older children, where it’s uncommon for parents of guests to stay, assign these goals within your family, and make sure everyone knows what their responsibilities are. This can be extremely important in order to make sure the party goes smoothly and everyone is safe. Have you ever sat down to write thank you cards and realized you don’t know who the specific gifts you received are from? It’s nearly impossible to keep every gift-giver’s card near their gift without mixing something up. You’ll be thankful you put in a bit of extra effort when you sit down with your son or daughter to write thank you cards. Try to do this as soon as possible, preferably 1 or 2 days after the party. Once again, thank you cards are an opportunity for your son or daughter to practice their manners and show their gratitude to their friends. At some ages, it’s a necessity for parents to write thank you cards for their kids, but once kids have the ability to write, they should be writing the cards on their own. Ready for the Best Birthday Party Ever? Party planning doesn’t have to be stressful. In fact, it can be fun—and seeing the smile on our kids’ faces when they’re having fun at a thoughtfully planned party makes it all well worth it. Whether you decide to host at home, at an event space, or at a Minnesota Birthday Party specialist, organization is key. Now that you’ve worked through our comprehensive checklist, you’re well on your way to hosting your child’s birthday party of a lifetime. The Ultimate Kid’s Birthday Party Gift Guide! A kids birthday party is typically a very exciting event for all children involved, whether they are guests or the actually birthday boy or girl. But birthdays have a tendency to get stressful for parents. As the parents of a guest, it can be particularly difficult to pick out the right gift, and your kids may not be a whole lot of help in doing so. As a host in the midst of planning the perfect kid’s birthday party—figuring out the perfect party favors for a goody bag may just feel like too much to handle. We totally get it—and thankfully, we have a solution that will save you time and money while ensuring the birthday party is a fun experience for both kids and parents! This ultimate guide to kid’s birthday party gifts contains 10 easy gift ideas and 10 quick goody bag ideas for party planners. Some are DIY and some are not, so there’s something in here for everyone! 2. You don’t need to break the bank! No-one should be ashamed of their budget. If you only have $10-20 to spend, that is more than ok! It’s the thought that counts, and most kids get excited just by the sheer quantity of presents they receive. It’s not necessarily a matter of good etiquette, but it’s a learning experience. It will involve your child in the act of gift-giving and teach them the joy of giving, while helping them feel more ownership over a process that they can’t fund themselves. 4. If you can’t attend, do you still need to buy a gift? The short answer is no. It’s not like a wedding. The longer answer is that it never hurts to send a handwritten note saying your child won’t be in attendance. If nothing else, it will win you some points with the parents throwing the party! At birthday parties these days, it’s usually expected that guests will be able to walk away with something for themselves. This goodie bag or party favor can be small. Don’t worry, we’re about to give you some fool proof ideas. It seems like every party these days features at least one extravagant gift. Whether a parent got carried away with a DIY project or a family member walks in with an expensive toy, it tends to happen more often than not. The key, as a parent, is to remain respectful of other gift givers and not overreact to the gift. Instead, you can help explain to your child how special the gift is, without making any mention of the gift’s perceived cost. You probably remember opening presents at your birthday party as a kid. Nowadays, it’s not a foregone conclusion that it needs to happen that way. In fact, many parents choose to save the gift-opening for after the birthday party has ended. This stops gifts from getting mixed up and pieces of gifts from getting lost in the shuffle. There’s nothing like cracking open the fresh Lego set when you get home only to find that there are a few major pieces missing! Kids don’t have to patiently sit and watch while their friend unveils a never ending supply of new toys. In this sense, leaving the gifts until later can me more inclusive and considerate. On the other hand, the party should be centered around the kid celebrating a birthday, and it can be nice for gift givers to see the smiles that go along with opening a special present. It’s up to you as a parent! Bring a notebook to the party and write down each gift and who it’s from. You will need this information for thank you cards. Make sure your kid is aware before the party that he or she will be tasked with writing thank you cards. It’s an important lesson, and it will ensure that they aren’t blindsided when you bring it up after the party. While there are countless creative options to ensure the birthday boy or girl is ecstatic about their birthday gift, we thought you would provide you with 10 of our favorite options. Here’s a combination of 10 DIY and store-bought gifts that won’t break the bank but will certainly crack a smile! Kids love building forts. This takes fort-building to the next level. Whether you live in a warm or cold weather climate, this igloo or sand castle building is one of the least expensive and most fun activities a kid can pursue. An ice or sand brick-maker can cost as little as $5 and can lead to days of fun. 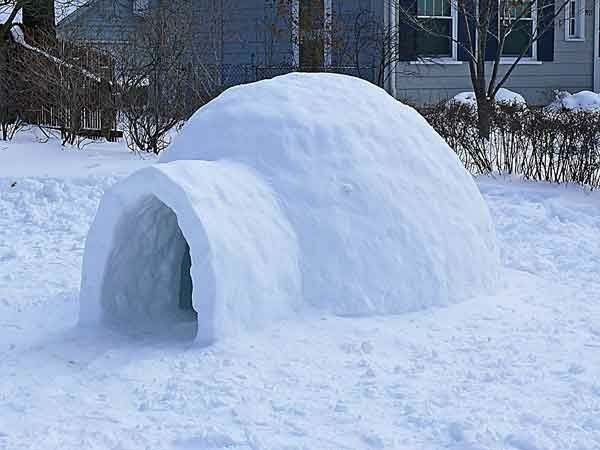 If you feel that it’s too inexpensive to give as a complete gift, consider creating a hand-written step-by-step “how to build an igloo” guide. You can find the steps here. If you’re in the mood for a fun DIY project, this will fit the bill perfectly. You won’t need much more than wooden planks, a circular saw and a drill press. Follow this guide to create a beautiful set of giant lawn dominoes that are sure to be the most stunning gift at the party. To save time, you can use a simple wood stain or paint instead of a torch to darken the surface of the boards. Here's another great DIY project involving wood. This one is even easier than building homemade lawn dominoes, and it makes for one of the most exciting games around. Check out this guide for creating a giant Jenga set that doesn’t require a whole lot more than 2x4 boards and a saw. If you don’t feel like building the wooden storage box, that’s no big deal! Just use a simple rubbermaid tub! You can have your crafty kid help you out with this one! Create a beautiful homemade notebook in minutes with this excellent step-by-step guide. Feel free to make multiple notebooks and include a nice set of colored pencils or pens to go along with the package. Parents will love this gift: It helps them take care of school supplies for the foreseeable future! Don’t worry, no-one is showing up to the party with a cage they’ve poked some holes in. Bringing a real pet as a gift may ruffle some feathers. Instead, why not go for a symbolic animal adoption through the World Wildlife Foundation? Choose from multiple animals to adopt. Each one comes with a plush toy, a certificate of adoption and a tote bag. Funds go towards a great cause: protecting wild animals and their habitats! Does the birthday boy or girl have a passion for astronomy? Adopt a Star is the perfect STEM-related gift. You will receive an Adopt a Star certificate along with glow in the dark star stickers and instructions on how to find the star in Google Sky. Funds go towards the search for Earth-like planets and the characterization of stars. If you’re attending a kid’s birthday party, it’s very likely that kid plays with legos. If you’re getting a gift for a lego-obsessed kid, why not have it be lego-themed? This quick and easy guide shows you how to create a portable lego tray from scratch. Parents will appreciate the gesture, as it will stop legos from being scattered across their floor. If you want to supplement the gift, include a lego set or a small pack of legos with the tray! This DIY project is on the slightly more complex side, but it will most certainly turn heads for its creativity. Stimulate creativity by creating homemade wooden snap blocks of all shapes and sizes which can be snapped together to create any pattern. You may be able to do the whole thing for under $20! Check out the guide. If you decide you just don’t have time for a DIY gift, that’s ok. We get it! Fortunately there are some fantastic gifts out there that kids love. Why not take the guesswork out of identifying the perfect gift and check out a gift guide instead? Target’s “Bullseye’s Best Toys” list is a collection of original and bestselling toys sold at Target stores. Similar to Target, Good Housekeeping has put out an excellent list of their own. Check out “The Hottest Toys of 2018” before heading to the store or ordering anything online. We’ve created a list of 10 creative party favor options for busy, party planning parents. Whether you want to create something from scratch or provide a cute store-bought trinket, these 10 ideas will be the perfect resource. It may seem inexplicable to adults, but kids absolutely love slime. Here’s a great step-by-step guide for creating homemade kid-safe goo that will last over a week and lead to hours of fun. Bath crayons are fun, but most importantly, they’re not permanent! Kids will love playing around with the all-natural soap-based product and creating great art on the walls of the bathtub. Here’s the ultimate guide for creating homemade bath crayons! Kids will be mesmerized by the beauty of a fizzing bath bomb. We can’t think of a better way to combine play time with personal hygiene. Here’s an easy way to make homemade bath bombs that make the ultimate party favor! All the kids at your party will feel like movie stars if you equip them with trendy wayfarer sunglasses. If you’re ok with your party turning into selfie-central, this is the perfect gift. You can get a 10 pack for about $22 on Amazon. This may seem a bit old school, but yo-yos are still cool! It’s a pretty intuitive skill to develop and kids will have a great time coming up with tricks together and competing over who can keep the yo-yo going longest! Plus, it’s another inexpensive gift you can find on Amazon for about $3! Don’t look now, but you just officially became everyone’s favorite parent (among the adults, at least). Who said a party favor had to be a toy or an edible treat? A small book is the best possible educational gift, and the fact that it’s being received as a gift will incentivize kids to actually read it. Check out Half Price Books, where you can pick up tons of inexpensive children’s books for a very low price. It’s easy to find wholesale legos online or “pay by the pound” lego bins at toy stores. A little bag of legos is a great take-home gift for any kid to add to their collection. There’s nothing quite like a sweet treat. And even though party guest will have had the chance to enjoy plenty of cake at the party, we’re sure they wouldn’t mind having a treat for when they get home as well. Homemade cupcakes are a quick, easy, and inexpensive party favor idea. Best of all: You can have your kid help you make them! Giving a kid a plant helps teach discipline and responsibility, as they will be responsible for taking care of something and keeping it alive. You can find succulent plants, which are very easy to keep alive, at places like Trader Joe’s for about $5. The small plants look great and all come with little pots, so there’s no need for additional purchases. If you want to be extra thorough, you can include a little note card with watering and sunlight instructions. If all else fails, and you just don’t have time to create something homemade, there’s nothing wrong with giving every guest a gift card to a place they will love. In fact, gift cards are a great way to teach delayed gratification to children while giving parents ideas for future outings with their child. Gift Cards for an Indoor Amusement Park: Many family entertainment centers offer indoor fun for kids year-round. Parents will love taking their kids to a safe, enclosed location full of fun attractions. Movie theater gift cards: What kid doesn’t love the movies? Bookstore gift cards: If you don’t have time to buy a book, why not give kids money toward something educational? Bakery gift cards: Kids will love cashing in on a special treat in the following days. Tickets to the zoo: Zoo admission will be exciting for kids and will give parents an opportunity to take their children out. Tickets to the Science Museum: Most major cities have a kid-friendly science or history museum. This is another way to earn points among the parents. Party favors… Check! Gifts… Check! Whether you’re hosting, or just bringing a gift, that’s one fewer chore on your list. Planning a birthday party for your child should be an easy, stress-free process. There’s no need to coordinate every single detail when you could just as easily leave that up to party planning experts. 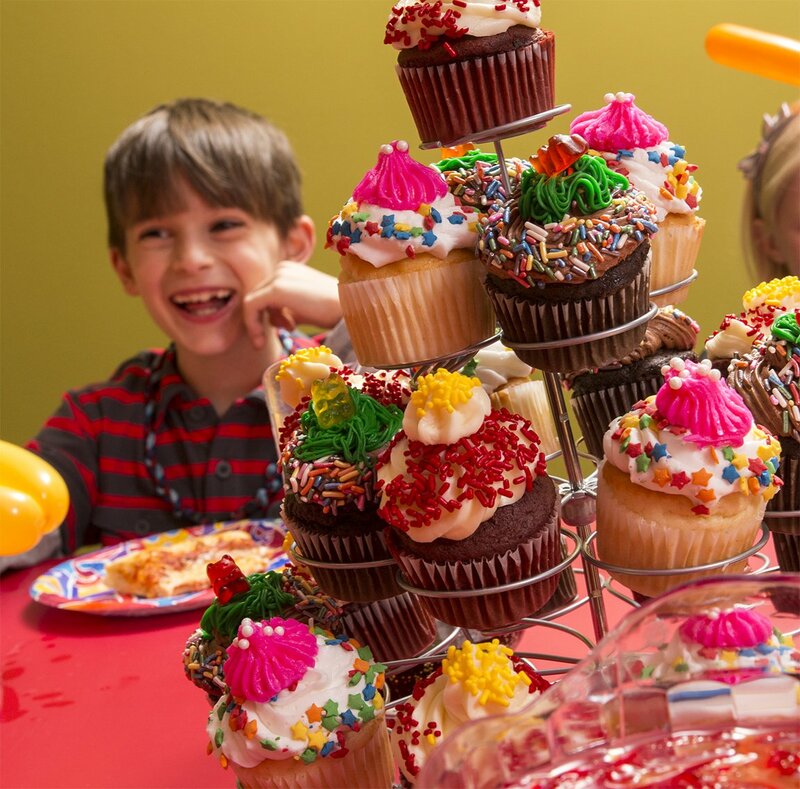 The expert party planners at Big Thrill Factory will help you plan the perfect kid’s birthday party, and will take all of the stressful work off your plate. Let's explore 13 fantastic Twin Cities activities that your Boy or Girl Scouts will love! 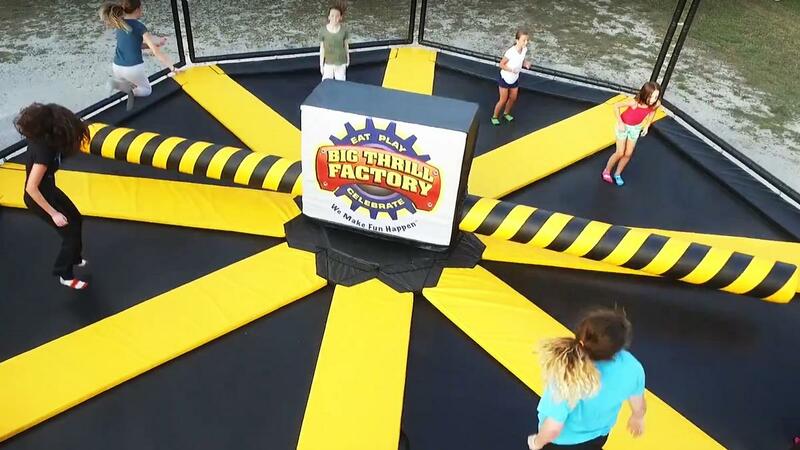 As a top rated kids and family destination, Big Thrill Factory’s field trip packages are packed with fun activities kids will love. Star Tribune's Richard Chin gives Axe Throwing a fling and asks the ax-perts why so many people are taking a stab at it. Today, we’re going to learn all about the origins of laser tag, along with 7 fun facts about the industry that may surprise you. Facilities add “fringe” attractions to differentiate themselves, generate buzz, and create unique, share-worthy moments for their guests. Food Service News features Big Thrill Factory on the importance of having good food, especially when people may not be expecting it. We’ve put together a list of crucial Do’s and Don’ts to help you plan a corporate event that your employees will love and your company will appreciate. The votes are in! Big Thrill Factory wins Best Place for Kids’ Activities in 2018 by Lake Minnetonka Magazine. Read more about what sets us apart. Get ready! We’re going to tell you about 13 fun adult birthday party ideas that will stop you from staying in on your birthday ever again. Find a Golden Egg for up to $300 in Prizes! From a friendly round of laser tag to axe-throwing, here's how to treat Valentine's Day like any regular date night with your anti-Valentine's Day partner. No Joke! Here Comes Axe Throwing! Keep kids’ cabin fever at bay with these fun indoor activities. Big Thrill Factory named #1 Family Entertainment Center in North America by the International Association of Amusement Parks and Attractions (IAAPA). It’s that time of year again and Big Thrill Factory is the perfect place to get you in the Halloween spirit! Only the best will do. Readers weigh in on their top pics for the annual Best of Lake Minnetonka Magazine issue and Big Thrill Factory makes the grade.